They might call it the Big Easy, but life in New Orleans can be harder than passing tourists imagine. Whether you’re trying hard to make rent or squirreling away money for your next vacation to… anywhere but here, we found some creative side jobs in New Orleans to put extra money in your pocket this month. Have a spare room? Might as well use Airbnb to make some money by renting it out to visitors of The Big Easy. If you’re a good host with a desirable space, you could add hundreds — even thousands — of dollars to your bank account with Airbnb. And if you don’t have a spare room, be creative. We even found a guy who earns $1,380/month renting out a backyard tent! Make your space available during high-demand times. There’s Mardi Gras and Jazz Fest, of course. But also keep in mind the temperate weather all spring and some of the fall attract tourists down your way, as well. Be personable. A lot of travelers use Airbnb for the personal touch they won’t find at commercial properties. 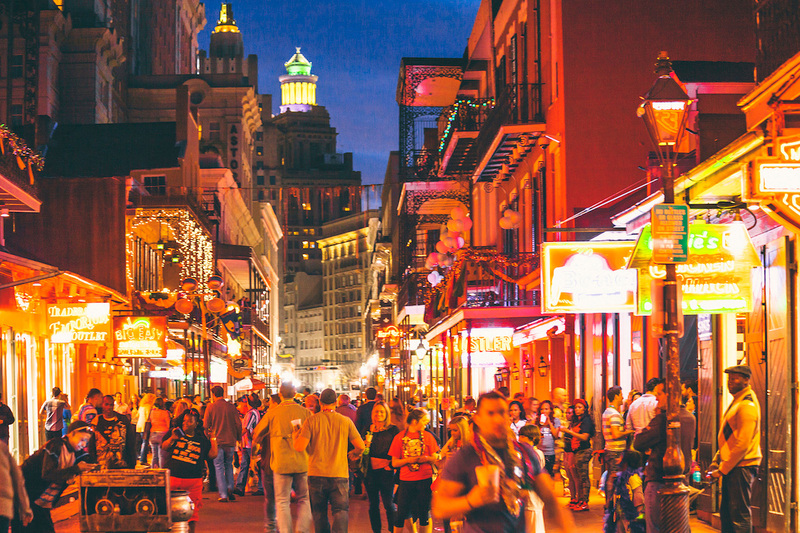 If you find solace on the road and enjoy finding the best route to avoid Bourbon Street, driving with Lyft is a great way to make money doing it! As a ride-share driver, you get to set your own schedule — no one keeps tabs on you. How much you earn is largely based on how much you want to work and how you use your time. You’ll earn money based on how many rides you take, and how far you drive for each. Riders pay a base rate plus additional fees based on time and distance in the ride. Drivers keep 75% of these ride costs, plus 100% of tips. To be eligible, you’ll need to be at least 21 years old with a year of driving experience and a U.S. driver’s license, pass a background check and own a car made in 2007 or later. Here’s a link to apply with Lyft. Did you know you can get cash back on your beer, wine and liquor? (And other groceries, but what else do you really need?) You just have to take a picture of your receipt. Sign up for Ibotta here with your name and email address. Browse through the cash-back offers in your area and take note the next time you go to the grocery store (the offers change every week). Right now Ibotta is giving new users a $10 sign-up bonus when you redeem your first receipt. Shop for what’s already on your list — don’t negate your savings by buying stuff just because it’s “a deal”! You’ll earn cash back for every dollar you spend. Here’s a simple way to earn money while you’re in line at the grocery store or in a doctor’s waiting room. The folks at InboxDollars will actually pay you to watch videos. They’re not exactly “Charlie bit me” videos, but you’re getting paid, so you can manage, right? The videos are sponsored by brands who need to get them in front of as many eyeballs as possible. For every video you watch, InboxDollars will credit your account with a little bit of cash. Plus, you’ll get a free $5 just for signing up. We found a company called HealthyWage that will literally pay you for losing weight. So not only are you getting healthier, but you’re also making some money. How’s that for motivation? Depending on how much you have to lose, how long you give yourself to do it and how much money you put on the table, HealthyWage will determine how much you’ll win if you achieve your goal — up to $10,000! Sound too good to be true? We thought so, too. So we talked to some people who tried it. Teresa Suarez lost 68 pounds — and made over $2,400. Caitlin McKenna bet herself she would lose 61 pounds in nine months. She nailed it — lost 63 pounds and won $3,180. Angela Harkins bet $50 per month for 18 months that she could lose 50 pounds. She reached her goal and won $2,400 to put toward a down payment on a new home. Use this calculator to find out how much you stand to win if you commit to losing weight. Acorns is a super simple app that helps you save money without thinking about it — and invest, even if you don’t have a lot to work with. You download the app to your phone, connect it to your bank account and select a few settings. This takes 10 minutes, tops. Whenever you use your debit card to buy coffee, groceries, movie tickets or anything else, the app rounds up your purchase to the next dollar and diverts your change into an investment account. Acorns calls these “Round-Ups.” They don’t have to be automatic — that’s a setting you choose. You can also add Round-Ups to your Acorns account manually by going through a list of transactions in the app. Penny Hoarder writer Dana Sitar tried Acorns and was surprised to find herself painlessly saving $35 a month. To invest your digital change, you’ll answer a few questions in the app to create your financial profile. It’ll build your investment portfolio, which can range from conservative to aggressive based on your needs. How much you earn for each item varies. We talked to one user, Gil Flores, who sold about 100 DVDs and 75 CDs and made $275 — an average of $1.57 each. Just download the app and start scanning the barcodes on your media to get immediate quotes. It’s completely free to use — no listing or seller fees, and Decluttr even pays for shipping. Plus, enter FREE5 at checkout to get an extra $5 on your trade-ins! Whether you’re hosting tourists in your home, driving them around town or just battling them in traffic, we know you need a break at the end of the day. Here’s a way to get it — and still earn extra cash. If you’ve ever laid eyes on The Penny Hoarder before, you’ve probably heard of Swagbucks. This company is one of our readers’ favorites, probably because of the wide variety of ways to make extra money through the app, including simple surveys. It’s also famous for handing out free points (they’re called SBs) at random just for being a member. Plus, you get a $5 bonus when you sign up and earn 2,500 SB within your first 60 days. You’ll get SBs when you qualify for and complete surveys. You can redeem the points for cash via Paypal or gift cards to a number of popular retailers, including Amazon. If you’re a good writer or editor, you can make $12 to $15 an hour writing letters to members of Congress. Next Wave Advocacy, LLC, and DDC Advocacy both have “@home” operations. These advocacy groups run grassroots political campaigns on issues such as healthcare, energy, defense and taxes. The companies hire people (which is where you would come in) to call constituents or advocates, folks who might be interested in the issue at hand. Your job is to help those people communicate their opinions by writing letters on their behalf to members of Congress. You’ll be able to learn more about the issues available before committing to writing a letter, so if you want to stick with your own political views, it’s easy to pick and choose. Dust off your dance shoes, magic wand or saxophone. Street performing — a.k.a. busking — can help you earn a nice pile of cash quickly. You just have to find the right location. Tourist hot spots are filled with people looking for a good show and brimming with disposable income. But they’re probably also full of competitive buskers. Get creative, and seek out any spot with lots of foot traffic and people with time to lollygag. Plop down your friendly tip jar, and show off your chops! Don’t have any performance skills? Dig through your old Halloween costumes and earn money dressing up as a funny character. If you’re not afraid of dumpster diving or curb-shopping, you could nab some items for a quick sale with no overhead. If your neighbors’ trash doesn’t yield anything valuable, try browsing Craigslist freebies for items you can pick up and resell. For a quick payout, keep an eye out for things that are nearby and that flip easily — items you could sell at a pawn shop or on consignment, probably, instead of waiting for a private buyer. Yes, this can be legal, and it can be fair. But you might annoy or upset fellow bar patrons, so make sure you know your audience well before parading out these amusing tricks. Make your way through these six foolproof bar bets — and maybe a few different locations — and you could impress your friends and leave with a pocket full of cash. You live in one of the most famous places on the planet. If you have a smartphone and a photographic eye, making money may be as easy as exploring a little. An app called Foap allows you to turn your smartphone photos into cash. Just download the app for free, sign up for an account and upload your killer photos of the Jackson Square or Bourbon Street to the marketplace. When someone buys the license to use your photo, you earn $5 (Foap keeps another $5). Do the math — if your photo sells 20 times, you make $100 without any additional work. If you want to work for yourself but hate the idea of being stuck at home all day, start a side hustle that gives you in-person human interaction. It still exists! Most of the jobs you worked as a kid can be turned into awesome side hustles now. Part-time work like babysitting, pet-sitting and raking leaves can bring in decent money and give you the flexibility you want without confining you to your home office.